Twenty-five years ago, Paula Claussen’s friend invited her to make the short trip from her home in San Diego, California, across the border to Tijuana, Mexico, to donate clothing to people in need. Claussen didn’t expect that day to change the course of her life. “I was shocked by the conditions that I saw down there,” she said. “It was something that touched me very deeply,” Claussen said. So in 1991, she started Project Mercy. The nonprofit has constructed more than 1,300 free homes for people living in Tijuana’s most desperate communities. 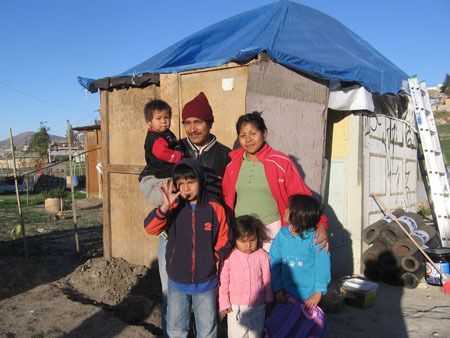 Every house built not only provides a solid and secure home for a family in need, but also hope for a better future. Please visit the About Us page to view video of volunteers in action in our construction program.